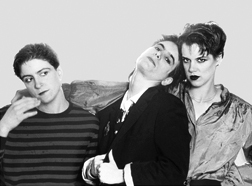 Welcome to the Jenny Woolworth Women in Punk Archive. 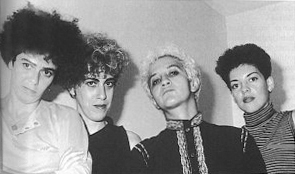 This database features female performers active in the underground and independent music scene of the 1970s and 1980s. It is by no means comprehensive and in many ways totally subjective. Thanks to the individuals from whom I collected ideas, names and information over the years, especially the Typical Girls mailing list and Sharon Cheslow’s Women In Punk List. If I have overlooked something, please contact me! Anemic Boyfriends Alaska USA Vocals - ? Anorexia Hertfordshire UK Vocals - ? Cancer Girls Washington D.C. USA ? DIN-A-4 / DIN-A-Testbild Berlin Germany ? Female Hands Vancouver Canada ? 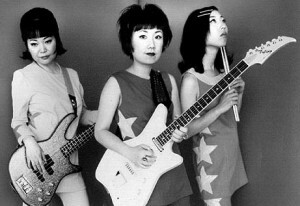 Holy Sisters Of The Gaga Dada Hollywood California USA Vocals/Bass - Jill Fido (Jill Fields), Guitar/Drums/Penny Whistle, Vocals - Wild Kim Sockit, Keyboards/Vocals - Mary Jean, Drums/Toys/Percussion - Zero Jessephski, Jr.
Los Iniciados Madrid Spain ? Marilyn New York New York USA ? Mekanik Kommando ? Netherlands ? Needles and Pins Los Angeles California USA ? Property Of ? UK ? Rhoda & The Bad Seeds Washington D.C. USA ? Sole Sisters ? UK Vocals - ? Speed Twins ? Netherlands ? Strong Silent Types Los Angeles California USA Vocals - ? Subverse ? UK Vocals - ? Tarzan 5 ? UK ? The Lous ? France ? Wicked Lady ? Netherlands ?